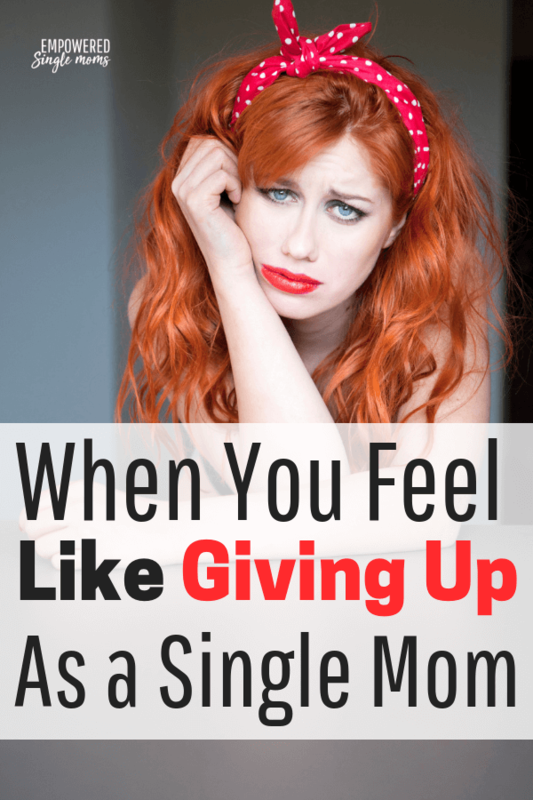 Inside: Things to remember when you feel like giving up as a single mom and you are racked with worry that you are failing as a mom. Single Mama I know this was not your plan. You have heard so many times that it is important to cherish this time because the days are long and the years are short. Yes, we know that is true. But……………………there is another truth too. We know there will be the last time we feed the baby, the last time a child wakes you in the middle of the night crying, the last time we change a diaper. There will be the last time we read that favorite book yet again, the last time we read to our child at all. The last time we carry him, the last time she crawls into bed with us in the middle of the night. There will be the last concert we hear them sing or the last game we watch them play. But today it all seems so difficult, so exhausting. It is so hard to cherish the moments in the midst of all the to-dos. There are cobwebs to brush away, vacuuming to do, floors to wash, grass to mow or snow to shovel, activities to attend, taxiing to do, clothes to wash, meals to prepare and work to do to provide that food, place to live, activity fees and clothes. One thing that can help bring order to the chaos and ease your exhaustion is to develop routines. You are getting the important things done. Look for your wins instead of all the things that are undone or not good enough. There are only so many hours in a week and though you are super you are not superhuman. Do you feel like you don’t have any wins? But you do have wins. Do you all have something to eat? Win! Do you sleep inside at night? Win! Did you tell your child you loved him today? Win! Did you show your child you loved her this week? Win! Are you making an income? Win! Can you speak to their father with civility? Win! Do your kids have a relationship with both parents? If yes win. No? Do they have a relationship with another positive adult like a grandparent, uncle, aunt, coach, scout leader, band director, daycare provider? If yes, that is a win. 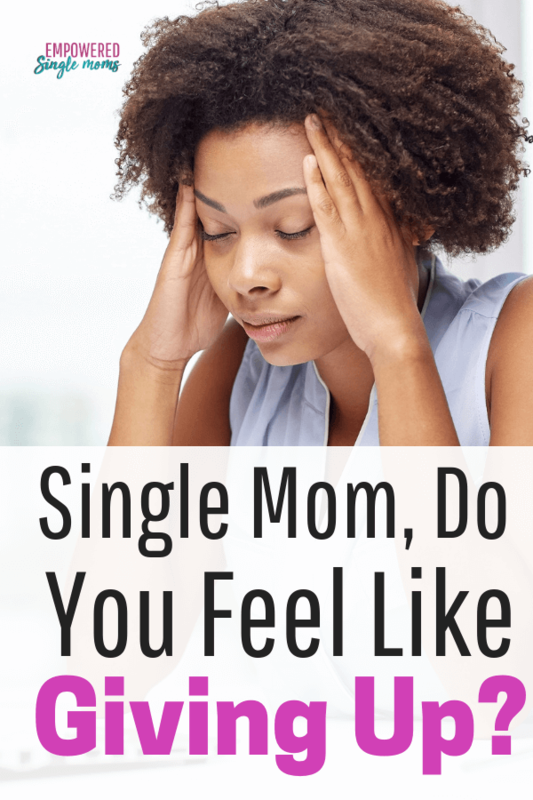 Do you make intentional time with your children in spite of the demands and busyness of being a single mom? If yes that is a win. Count the time in the car if you are being intentional. Count doing errands or chores with one child, if you are intentional about the time. You will probably be surprised in a few years at the things your children remember as special. It will probably not be the elaborate trips even if you can afford them. What many children remember are the ordinary moments made special. One of my children’s favorite memories is Friday pizza & a movie night. That tradition was born out of sheer exhaustion. It was not a well thought out plan to make memories. Special times can be family game night, visits to grandparents, camping a few hours or less from home. Holidays can be especially challenging, but those can be special too. Here are some ideas to help with single parent holiday celebrations. There are moments that make the struggle worth it. Notice when your baby or toddler gives you their precious smile (or your teen for that matter). When your kids make good decisions relish the moment. Notice when your teen says “I love you” first for no reason other than that you are his mom. Notice when one of the kids does something helpful without being asked. Notice when one of the life lessons you have been trying to teach has been learned and incorporated as their own belief. Notice when your child shares a part of his life with you. That is a gift to cherish. You are in a rough patch now, but you are not failing as a mom. You can do this. It will all turn out. Your best is good enough. No one is a perfect parent. We all learn as we go. I made a private Facebook group just for you. Join us in Empowered Single Mom Tribe where we share support and encouragement with each other.